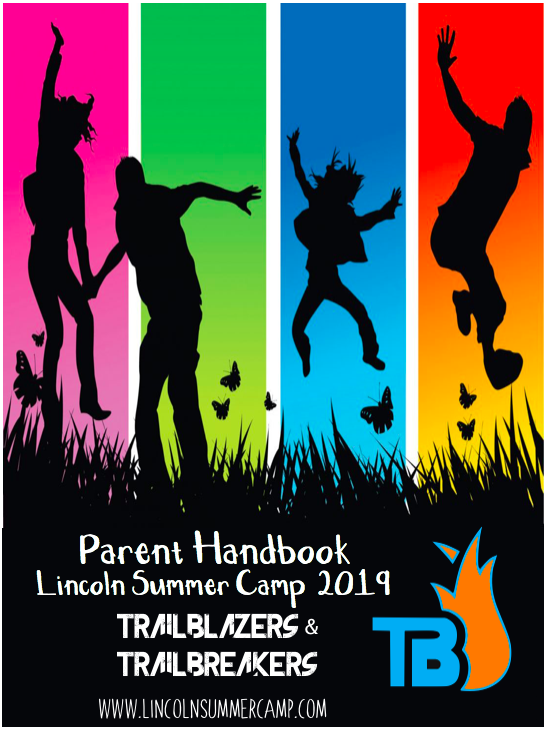 We had an AMAZING first week at Lincoln Summer Camp. Here’s what we are up to in our specials. Welcome back to Music and Drama! Campers showed off their stars and stripes dance moves and cheering skills. Everyone made marching band instruments to use in a parade. The Pioneers made egg maracas decorated in stars, stripes, and flags. We shook our maracas while dancing and jumping like fireworks. Ramblers engineered pan flutes of all sizes and “strawoboes” that tooted our star spangled celebration. Crusaders went on a musical scavenger hunt filled with cheers, dance moves, and pictionary. They also participated in a lip sync battle performance complete with silly costumes and excellent dancing moves. We look forward to splashing around during next Wacky Water week! This week in Sports and Games, campers played variations of classic American games to go along with the theme of Star Spangled Camp Week. Pioneers played Flag Tag, trying their best to grab the flags of other campers while keeping their own protected. They also played Messy Backyard, a beat the clock game where two teams had to compete for the cleanest “yard,” throwing bean bags from their own half to their opponents. Ramblers also played Flag Tag, but got the chance to play a game of soccer in spirit of the World Cup as well. Crusaders took their skills to the baseball diamond, where they played Matt-Ball, a variation of the classic game of kickball where bases can have as many players as they can fit. They also played a combined game of classic dodgeball to kick off the competitive spirit at camp. Next week we move on to Wacky Water Week, so come prepared to get soaked! We had an exciting first week in STEM (science, technology, engineering, and math). Pioneers made chemical reactions using baking soda, vinegar, and their favorite colors. Ramblers, Crusaders, and Trailblazers built rafts using sticks, duct tape, and twine. All campers designed rafts that floated! This week in Story we read 4th of July themed books. The first story we read was “Hats Off for the Fourth of July” by Harriet Ziefert. For our activity the kids had a blast making hats out of paper and coloring them in. The second story we read was “Eloise and the Big Parade” by Kay Thompson. For our activity we played three Fourth of July games: the three legged race, egg spoon race, and egg splash. The kids ended up wanting to loose egg splash because they loved getting splashed! This week in archery we went over the basic techniques and then we jumped into 4th of July themed games to practice our new found skills. Our first game was find the star, where blue and red circles were placed on the targets and campers had to shoot them. Once a circle was shot, campers would check underneath to see if there was a hidden star underneath. If there was, they would win a sticker! The next game we played was make a flag. Campers had to shoot the red, white and blue rings of the target in order to make the colors of the American flag. If they shot all the colors of the flag or the star in the bullseye of the target, they won a sticker! Campers improved a lot through the week and can’t wait to see how they do next week! 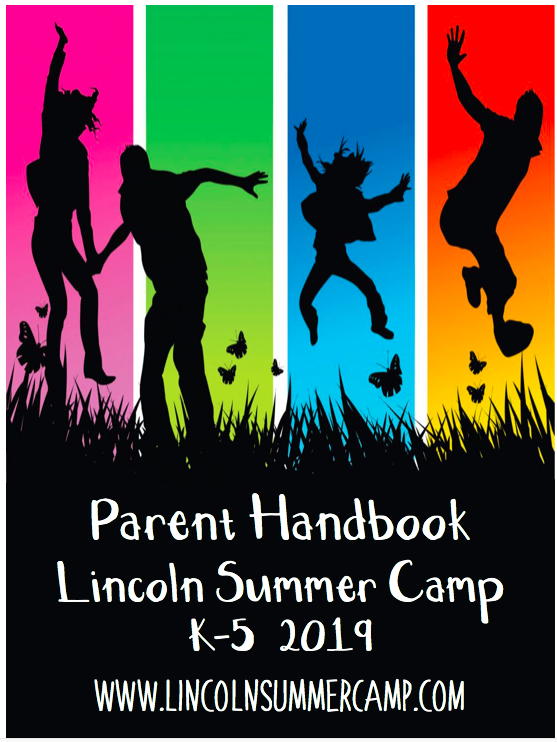 Welcome back to a fun-filled summer at Lincoln Summer Camp! This week in Arts and Crafts we celebrated the 4th of July. The Pioneers made firework art using straws and forks, as well as salt infused firework art using glue and watercolor paints. Ramblers and Crusaders made confetti poppers in honor of the 4th, as well as firework art using salt, glue, and watercolor paints. For our Crusaders choice block this week we made rainbow loom bracelets, key chains, and necklaces. Get ready for next week…Wacky Water Week! Our projects will be under water and beach themed. Wishing everyone a great weekend! This week in Epic Adventures we started off our summer with an inflatable party where campers had the chance to jump on the bouncy house, play games, and slip down a giant water slide! Kids had an awesome time racing through a camp wide scavenger hunt completing various challenges at each location. 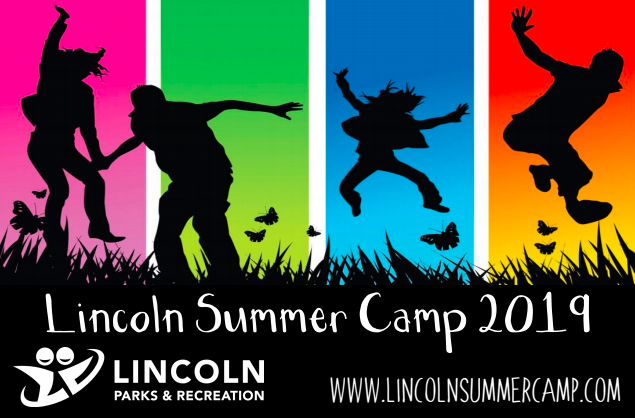 On Thursday, Lincoln Summer Camp held its first Lincoln Live event of the summer! The campers performed a wide a variety of acts such as dances, songs, gymnastics, piano melodies, and Rubik’s Cube battles! Cheers were sung and a pair of very talented counselors performed an amazing rendition of ‘Breaking Free’ from High School Musical. Finally, our spontaneous dance party had kids shaking and grooving all across the auditorium to ‘Party in the USA’. The Trailblazers got there week going with their first Choice Day on campus. Campers used our sign up board to select the different events and activities that they wanted to do during the day. Check out some of their fun below from their Knock Out contest and their Cup Stacking Challenge. The Trailblazers also set out on 3 adventures this week. The first one was to Coco Keys. On Tuesday the Trailblazers traveled to Coco Keys Water Park and had an amazing time splashing around, riding the 3-story water slides, and showing off their skills on the lily pads and in water basketball courts. We are happy to report that all the campers did a great job learning our buddy system and group check in’s. They made ALL of their check in’s on time! We are so glad to be adventuring with such a responsible group of campers. Check out some pictures of the action below! On Thursday Trailblazers made their way to Canobie Lake Park. They had a great day tackling Untamed, The Yankee Cannonball, and The Boston Tea Party. They did a wonderful job supporting each other, while encouraging each other to test their limits and face their fears on some of the parks bigger rides. They also thoroughly enjoyed sinking their teeth into fried dough, slushies, and cotton candy, as they made their way around the park. Check out some pictures of their wild rides below. On Friday the Trailblazers hit the road again for a trip to Laser Quest. After picking their code names they dodged and ducked and tallied up points as they explored the amazing two-floor arena. Lots of strategies went into play as campers teamed up to earn points for their Ice Cream League Teams. We also crowned our first Lincoln Summer Camp Ice Cream League Champion of 2018. Throughout the week campers have been competing in trivia competitions during their bus rides and earning points for their teams. This week we played Wits and Wagers, 20 Questions, Name That Tune, the Last Word, and Buzzword! Campers also earned points for their teams at the Cup Stacking Challenge. When all the points were tallied up the Skittles came out on top and received their free ice cream. Congrats Susanna, Zoe, Tristan, Lucile and Gray. In their other down time the Trailblazers have been loving the upgraded Trailblazers Lounge, which is filled with games. Check out some pictures of all the fun below. The Pioneers journeyed to neighboring Waltham to let their inner artists shine through at Plaster Fun Time. Campers first chose their own plaster piece from a wall with over 100 options! Then they settled in to design. After some priming, campers chose from 26 different colors to make their pieces as realistic or abstract as they liked. The pieces were finished with a setting spray of the campers’ choice and then they left – clinging tightly to their new masterpieces. Today the Ramblers rambled on up to Funtagious Fun Center! Campers got to play glow in the dark mini golf, bowl, compete against their friends in the Balladium, and test their speed against the clock and their friends in the Time Freak. Campers also got to win some awesome prizes in the arcade. It was a great field trip to round out an awesome week in the Ramblers! In a last minute weather switch the Crusaders set out to Wamesit Lanes. Campers had a jam packed day of bowling games, sports simulators, and an arcade. Crusaders competed with each other and their counselors to win multiple bowling games. They then headed over to the simulators to play rounds of golf, shoot basketball three pointers, score soccer goals, and even play zombie dodgeball! Campers loved testing all the arcade games and redeeming their tickets for awesome prizes. Each week we have CIT’s or Counselors in Training who volunteer their time to help our camp. In exchange for their time they get valuable instruction from our staff in how to work with children and how to “work” at a job. This year the CIT’s are also completing service projects for the camp. Check out their first one below.